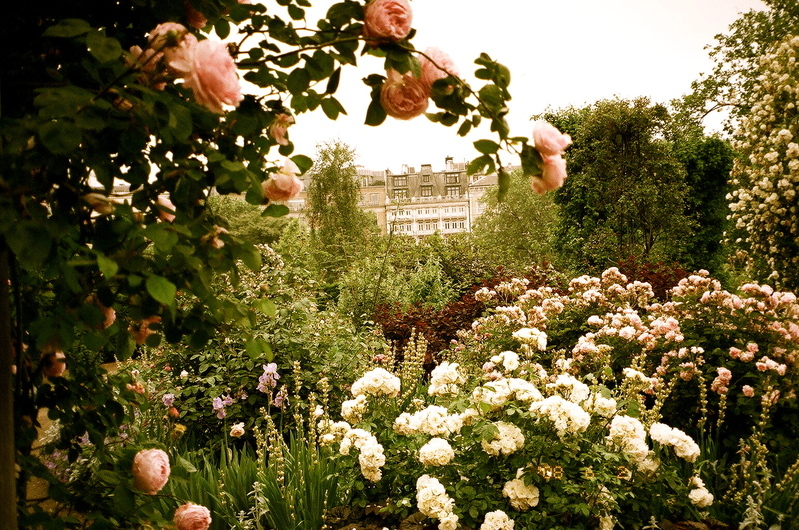 I nearly died of happiness in this garden in Hyde Park in London, England. Obviously gardening there is more about hacking plants back than coaxing them to grow. However, a walk around the Toronto neighbourhood bordered by Bathurst, Dufferin, Bloor and Queen streets yields climbing roses just as spectacular as the one pictured. There are also lots of Madonnas, Venus and Dionisus statues, and ceramic lions on pedestals. The gardeners in this neighbourhood love to cram an entire European piazza's worth of garden ornaments into a 10 x 10 ft space. And I love them for it. I just came back from a trip to London and Dublin with a couple good friends. 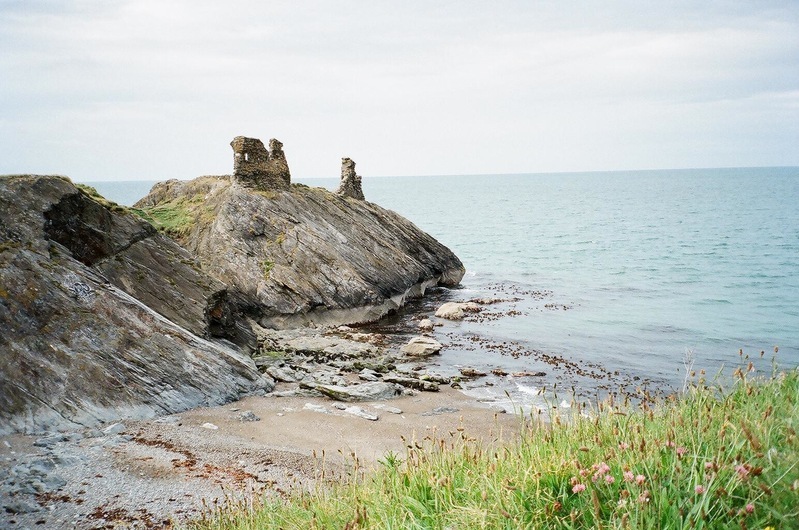 This (I think) is Wicklow Head, about a half-hour south of Dublin in the coastal town of Wicklow. On the map we got from the rental car place there was a little clear circle on a little bump that looked to be right about where we were, and they called it Wicklow Head. However, there were no signs. Not a plaque. Not a post. Nothing. This beautiful ruin was completely unmarked. Apparently Ireland has a lot of these, so they just don't bother to label them. Of course, why label an ancient ruin? Who would do that? In Canada we have plaques on buildings that are fifty years old. Because that's something around here.